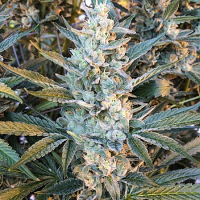 Auto Cream NL Feminized Marijuana Seeds by Ministry of Cannabis Seeds: This wonderful autoflowering strain brings some new aromas in our collection, its funky smell is indeed a mix of old cheeses. The Cheese is a particular variant of Skunk with a distinctive taste: we have crossed the Auto Cheese with our stronger Auto Northern Lights, so the plant grows faster and stronger and it is more resistant to mold and pests. The aroma of the Cheese sweetens up the strong earthy aroma of the Northern Lights. 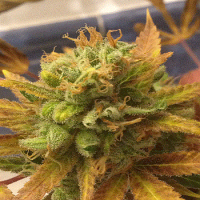 The result is a plant very easy to grow, with a large harvest and an unmistakable aroma. The buds grow very big and pretty compact. The finishing time is about 65-67 days. The high is very well balanced, happy and creative. Auto Cheese NL is an exceptional strain that every grower needs to experience at least once in his hobby room.